Flower Wholesaler located in Los Angeles Downtown. 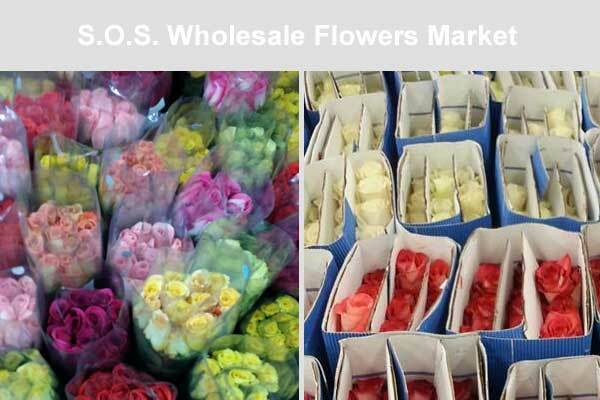 Wide Variety of California-grown fresh cut flowers, South America and European flowers, seasonal flowers. Flowers : Asiatic Lily, Carnation, Cherry Blossom, Dahlia, Dianthus (Green Balls), Gerbera Daisy, Hydrangea, Matsumoto Asters, Oriental Lily, Purple Iris, Ranunculus, Roses, Tulip, Cabbage, Sunflower, Snap Dragon, Daisy, Stargazer Lily, Liatris, Limonium (Misty Blue), Queen Ann’s Lace, Curly Willow Branches, Alstroemeria, Bouvardia, Larkspur, Solidaster (Golden Rod), Baby’s Breath, Ti Leaf, Tropical Greens, Seeded Eucalyptus etc.